Christmas Background With Snowflakes And Icicles In Front Of.. Royalty Free Cliparts, Vectors, And Stock Illustration. Image 48128533. Vector - Christmas background with snowflakes and icicles in front of a wooden wall. 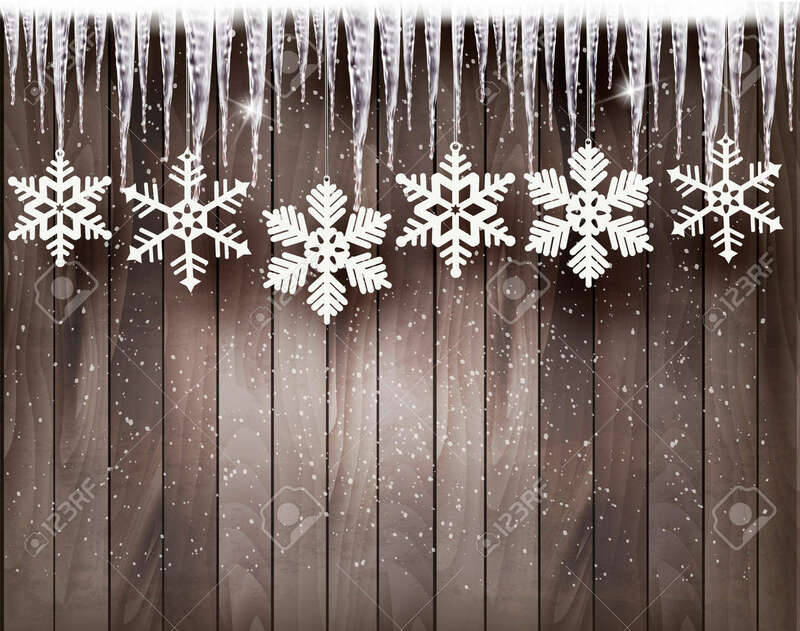 Christmas background with snowflakes and icicles in front of a wooden wall.